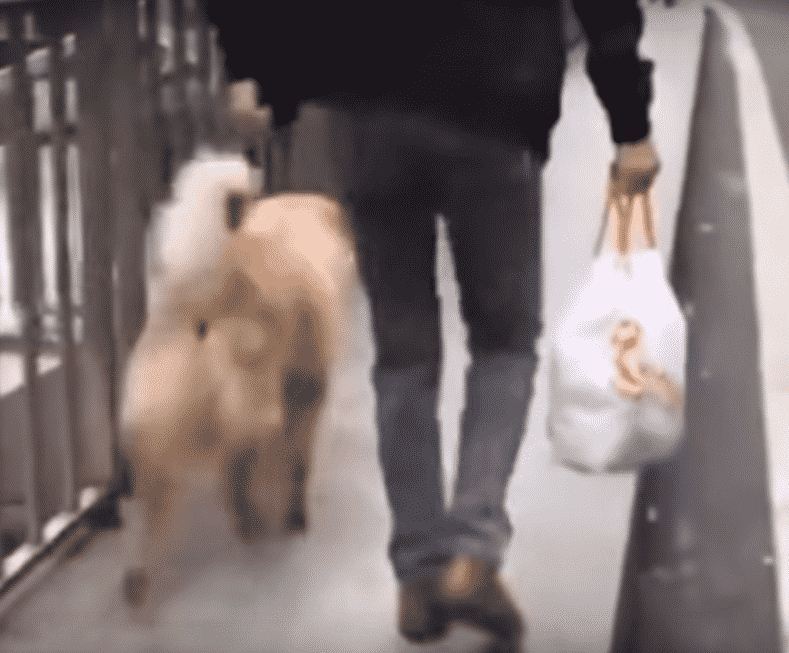 Dogs are considered to be man’s best friend, but they are so much more than that! 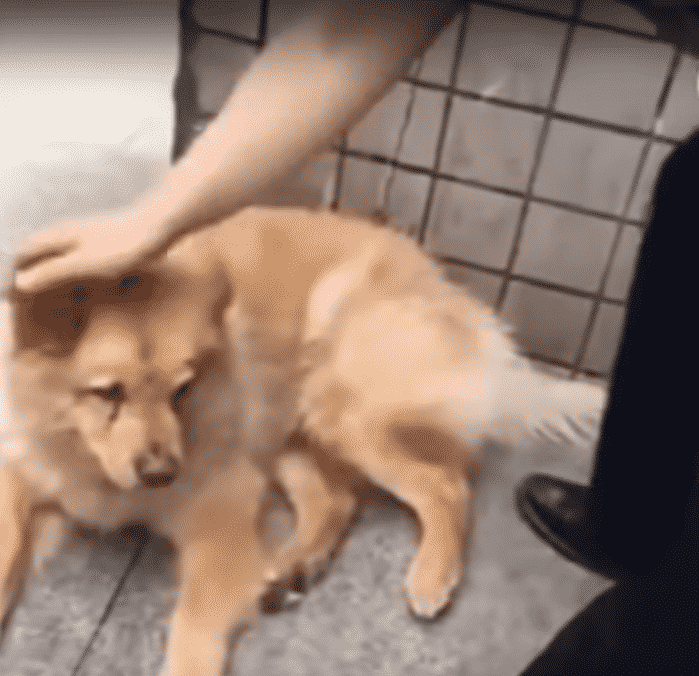 Today we are going to show you a story about a dog named Xiongxiong who is so loyal to his owner that he waits for him at the train station to come back from work every day. You won’t believe how long Xiongxiong has to wait! Xiongxiong is not only huge in size, but he has a big heart as well! 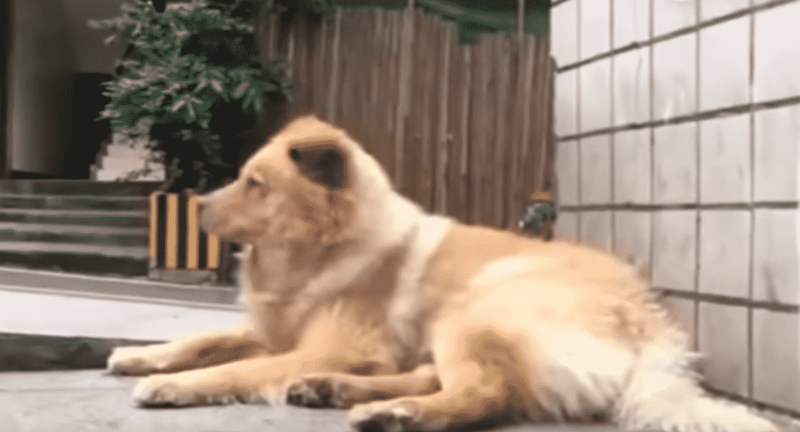 This doggy’s story is so emotional that it’s going to make your heart melt! With that said, let’s see why Xiongxiong sits on the sidewalk all day long. The man in this picture is called Mr. Chen, and he is Xiongxiong’s owner. The two have been together for more than eight years now, and you won’t believe how Mr. Chen and Xiongxiong met!! 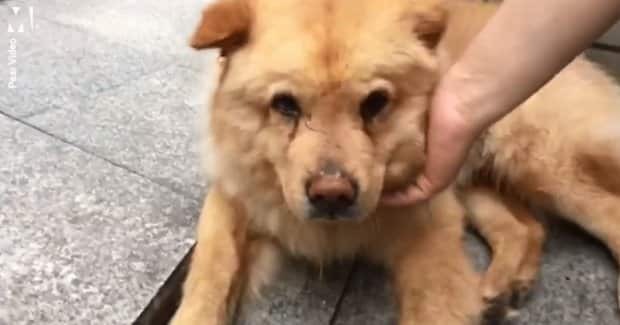 Xiongxiong is 15 years old and he has been with Mr. Chen ever since the man adopted the doggy and saved him from living a rough life on the streets. This is why Xiongxiong does this fantastic thing every day! Keep reading to see what Xiongxiong does. 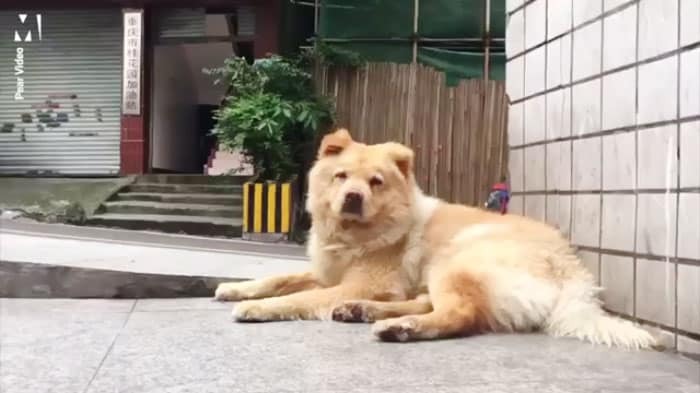 Mr. Chen leaves for work every morning and Xiongxiong waits for him to come back every day! To make things even more adorable, Xiongxiong waits for Mr. Chen in the train station. You will be amazed to find out how much time Xiongxiong spends every day at the train station. Mr. Chen works twelve hours each day and Xiongxiong sits in the train station until he comes back from work. Can you imagine how loyal this dog is? Just think about it like this, would you ever wait for someone 12 hours and never move from that spot? No, I didn’t think so. Xiongxiong has been spending so much time in the train station that he became a local celebrity! People who commute via train always make sure to give Xiongxiong a delicious treat and some belly rubs just like you will see in the next picture. 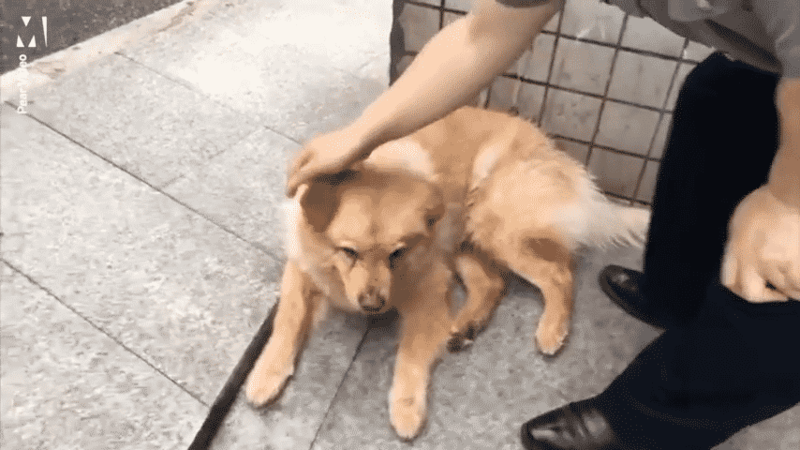 Even though most people would be scared to get close to a big dog like Xiongxiong, this yellow doggy has managed to make friends with everyone who visits the train station. The upcoming pictures are going to make your heart melt! 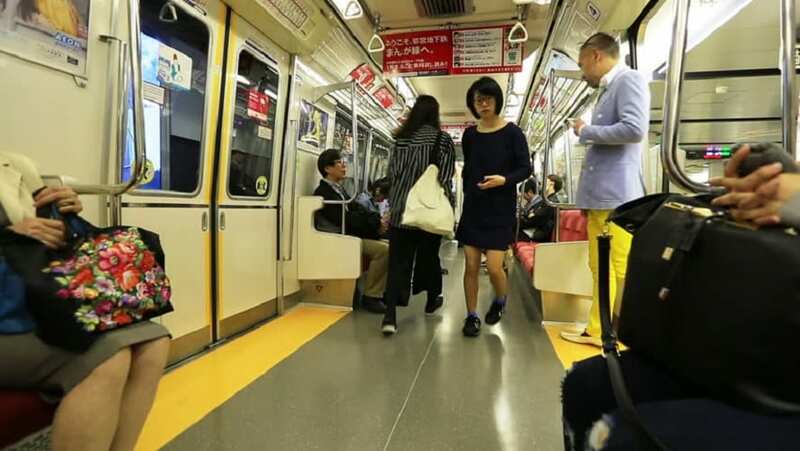 The most heartbreaking thing about watching the yellow doggy waiting for his owner every day is how happy he gets whenever a new train arrives, only to find out that his owner isn’t there. 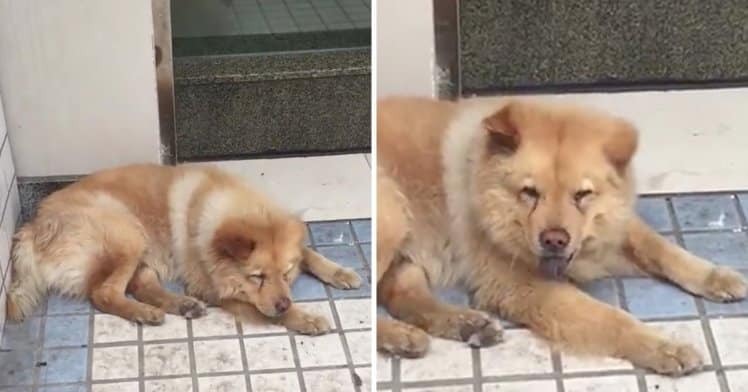 Xiongxiong always gets a little bit sad whenever his owner doesn’t come out of the train. 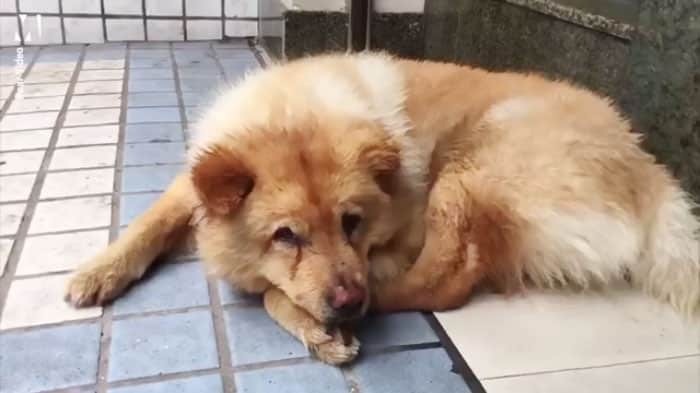 It is heartbreaking to see it and also why so many people come and pet Xiongxiong whenever he is feeling down. How do you think Mr. Chen feels about this? 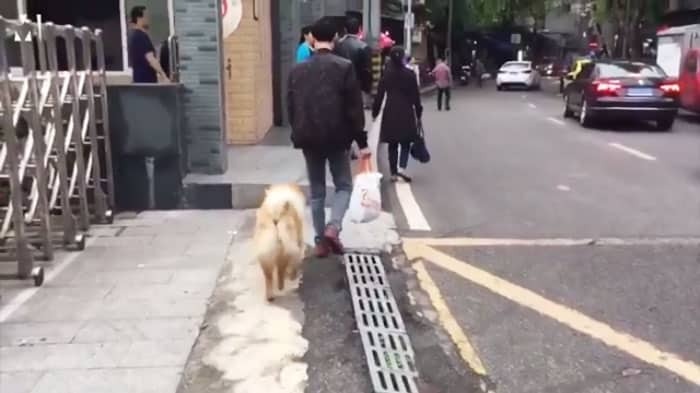 The man tried to teach Xiongxiong not to follow him to the train station because it could be dangerous, but the dog couldn’t care less. 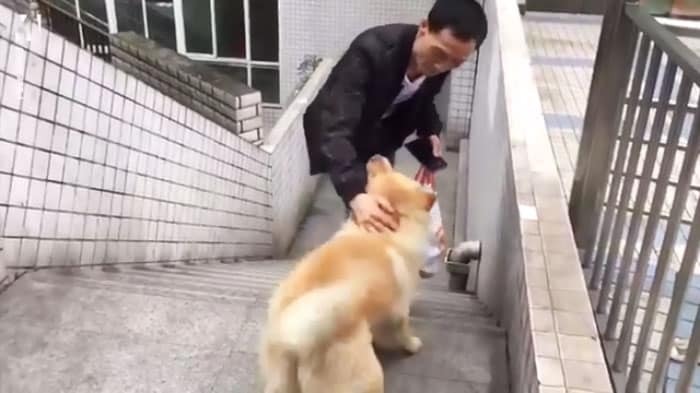 Xiongxiong loves his owner and he is willing to take a risk if it means that he gets to spend more time with Mr. Chen. Isn’t this adorable? Mr. Chen says that the most fantastic thing about the yellow dog is that he somehow makes friends with everyone. 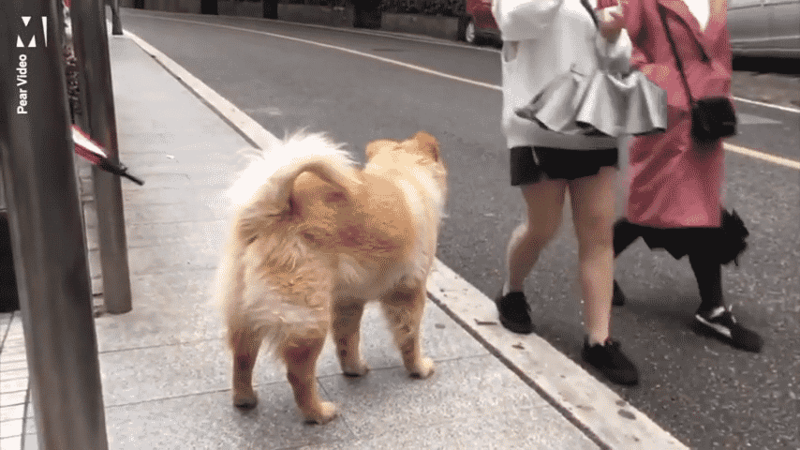 People are not scared of his size at all because they know he is just a fluffy cutie pie. The only time that Xiongxiong ever makes a noise while sitting in the train station is when Mr. Chen comes back from work. The pooch is happy and that’s why he barks around his owner. One of the most amazing things about Xiongxiong is that he doesn’t care about the weather at all! Mr. Chen says that even though it might be raining or snowing, Xiongxiong will still wait for him all day long. If one thing is sure, then it must be that Mr. Chen and Xiongxiong share a strong bond. 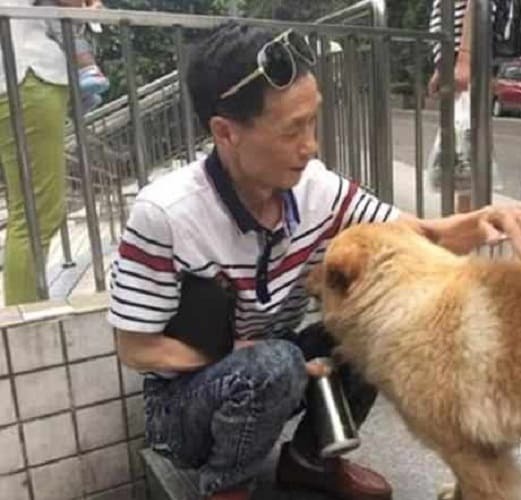 Xiongxiong’s actions are the most excellent example of what unconditional love feels like and we can bet that Mr. Chen is happy to have him. 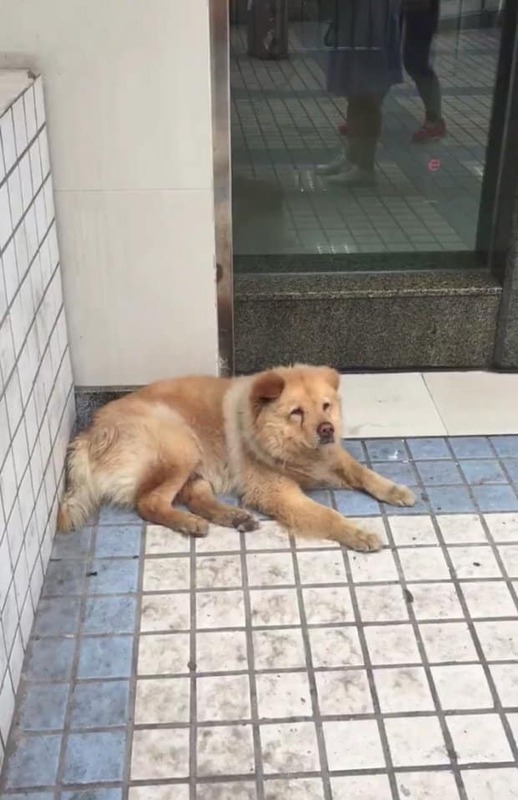 The people who work at nearby stores have grown accustomed to Xiongxiong and they give him something good to eat every day. In fact, one of the local store owners makes sure to give the pooch a delicious treat every time he comes to the train station. This is one of the people who love giving Xiongxiong some attention while he is waiting for Mr. Chen to return from work. You know who Xiongxiong reminds me off? Keep reading to find out! 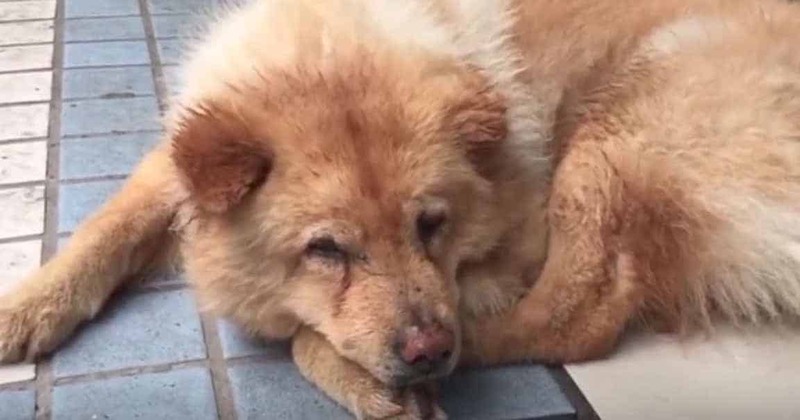 Xiongxiong’s story reminds me of Hachiko who is a famous dog that had a movie done about him. 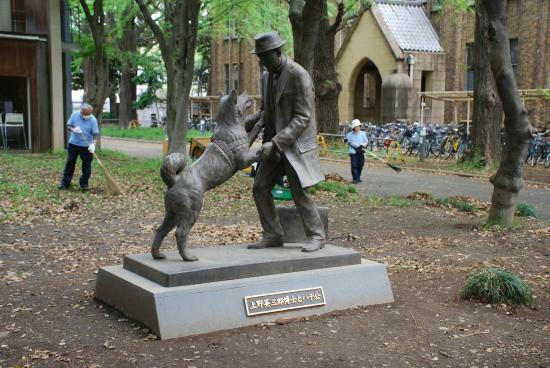 Just like Xiongxiong, Hachiko waited for his owner to arrive at the train station for years on end but sadly, his owner never came. 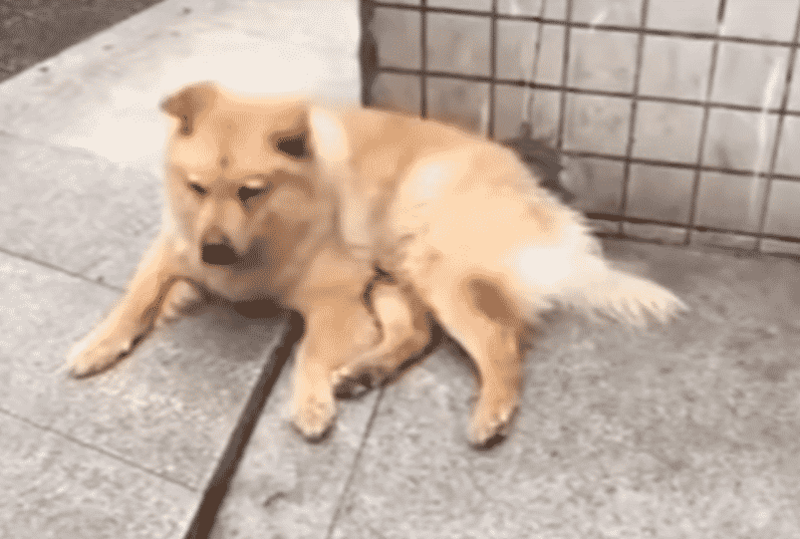 If there’s one thing Xiongxiong shows us, is that everyone should consider getting a dog! 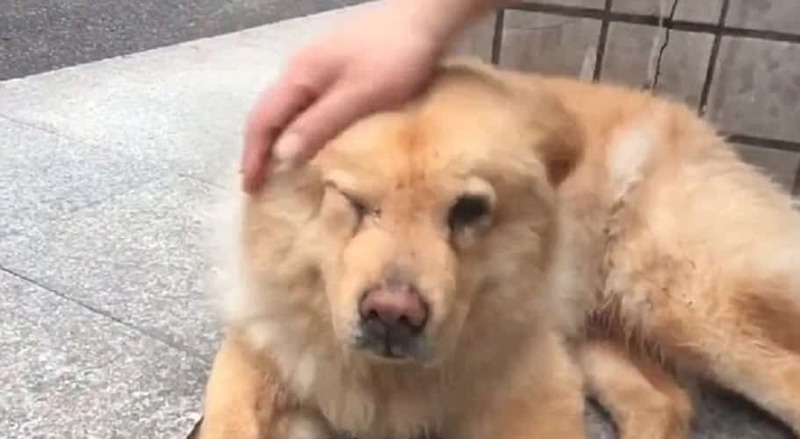 Mr. Chen is lucky to have Xiongxiong because he is one of the cutest and loyal dogs ever, but most importantly he is a good boy.